← July is Still Exploding with FUN! 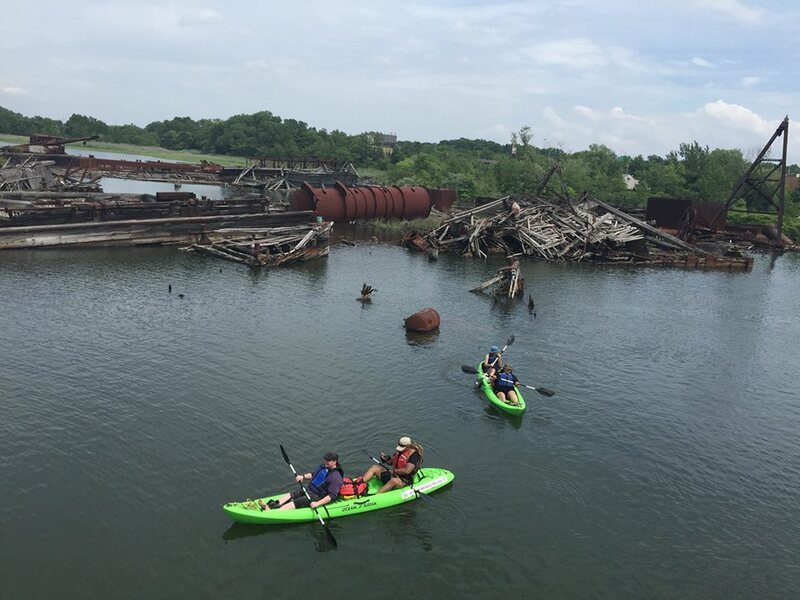 Student Paddle to the Graveyard of Ships! 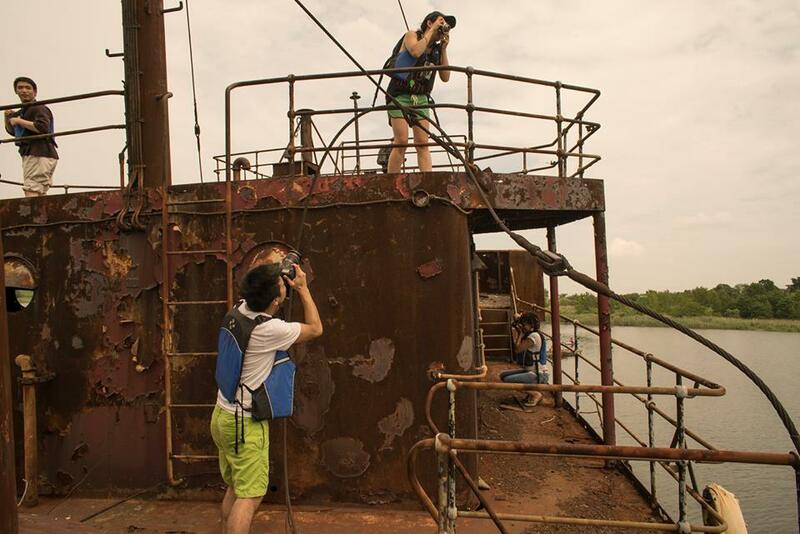 HarborLAB brought CUNY LaGuardia Community College photography students to New York City’s own Graveyard of Ships, a place where lore grows with rust and spiderwebs. Officially the yard of the Don John Iron Iron and Metal Scrap Facility (formerly Witte Marine Scrap Yard), this collection of late 19th-through-20th century working harbor boats has become a habitat (above for nesting birds, including osprey, and all manner of fish below), place of reflection, and industrial history museum. For more information, enjoy Forgotten New York’s masterful write up. Our group launch from the Carteret Waterfront Park on the New Jersey shore of the Arthur Kill. The ships are mostly clustered along Staten Island, south of Fresh Kills. The students learned about urban ecology and gained some unique pieces for their portfolios, which we hope will advance their studies and careers. Many thanks to HarborLAB volunteers Patricia Menje Erickson. Alex Sramek, Kamala Redd, and Ray Tan for assisting the class and bringing in extra help. Student photos will be uploaded to a gallery soon. Below is a gallery of photos by Scott Sternbach, director of the CUNY LaGuardia Communty College photography department and Chair of the HarborLAB board.